The painful disease of dengue has been around for centuries, however, it has now created a widespread fear in the minds of people in India with the average number of people getting infected by it increasing at an alarming rate. Dengue fever should be tackled with utmost urgency because if left untreated, it can develop into severe complications resulting in dengue hemorrhagic fever. Therefore, dengue fever can be a fatal disease due to low levels of blood platelets and leakage of blood plasma, failure in the circulatory system and damage to blood and lymph vessels. 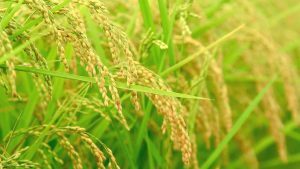 Consequently, the hunt for anti-dengue herbs, medicinal plants and other natural home remedies for dengue on how to cure dengue have become necessary more than ever. How to cure dengue is the most asked question during the monsoon season with the onset of the dengue disease. Below are mentioned widely popular home remedies for dengue which are advised to reduce the intensity of dengue symptoms and increase the blood platelet count, stabilize body temperature and increase overall immunity. How to cure dengue using dengue fever treatment papaya leaves for dengue. Papaya leaves for dengue is one of the most controversial home remedies for dengue fever. While some say that the home remedy papaya leaves for dengue remedy are just a hoax, however, the people who’ve tried it firmly believe it to be true. The complex mix of nutrients, organic compounds, and antioxidants in the leaf of the papaya pushes your platelet count to the normal range, strengthen your immune system and flush out toxins in the blood. Therefore, dengue fever treatment papaya is regarded to be the most used and extremely beneficial home remedy for dengue. Given below are the steps on how to cure dengue by using papaya leaves for dengue treatment which should be put into action as soon as start to notice the first sign dengue in your body. Pull a fresh papaya leaf from the plant and cut it into slices. Make sure you don’t remove the veins from the leaf. Mix the papaya leaves with 3 teaspoons of cold water. Consume the papaya leaves for dengue fever treatment at least 3 times a day. Allergic to papain compound or latex. Undergoing or have already undergone a surgery. Tulsi leaves are considered is one of the most popular home remedies for dengue after papaya leaves for dengue. Tulsi leaf is recommended for many ailments and dengue is just one of them. Consuming tulsi ki chai or tea made from basil leaves is said to not only reduce the symptoms of dengue fever but also strengthen your immune system. Basil leaf tea is packed with cinnamic acid and magnesium, which helps in circulation of blood flow and promoting overall cardiovascular health. 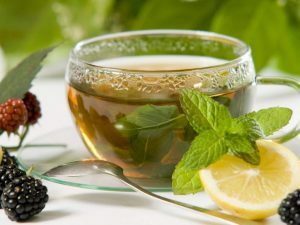 Also, drinking this tea will make one perspire which helps to keep the dengue mosquito away because dengue mosquito rarely bites a person whose skin is perspiring. Moreover, the Tulsi leaves help in increasing the blood platelet count as well as white blood cells and assist in controlling any inflammation. Therefore, for this dengue home remedy, just follow the instructions given mentioned below on how to cure dengue using basil leaf tea. After the water starts boiling, let the mixture come back to normal temperature. Alternately, you can also chew ten to fifteen basil leaves four times a day. During dengue fever that causes extreme fever, body pain and weakness, patients suffer from immense fluid loss causing dehydration due to high fever and vomiting. 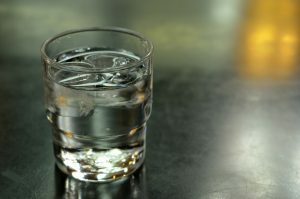 Therefore, it is crucial that one consumes large amounts of liquids (preferably of warm or hot temperature) to keep yourself well hydrated and maintain the electrolyte balance of the body. Consuming substantial liquids ease the dengue fever symptoms, such as muscle cramps and headaches. Also, water also helps to flush out and eliminate the toxins through the fluids excreted by the body. Most importantly, drinking a substantial amount of water during the day increases the blood platelet count as water is an important component of blood cells. Therefore, if you are confused as to how to cure dengue? Follow the given advice as this one of the simplest home remedies for dengue that can be ensured with the greatest benefits. Consuming pomegranate juice is also one of the home remedies for dengue fever. 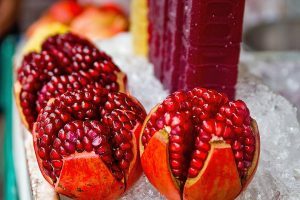 Blood platelet counts can be given a boost if you consume pomegranate juice. Moreover, consuming the same also helps to reduce cholesterol, reduce blood pressure and has other health benefits for the heart. 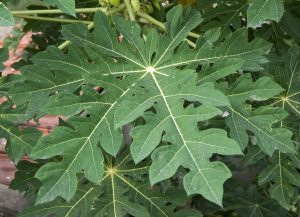 How to cure dengue if you hate the taste of papaya leaves for dengue? You can have pomegranate juice as home remedies for dengue. Note: Alcohol should be avoided at all costs as it causes dehydration in the body. Coriander leaves are amongst one of the best home remedies for dengue. 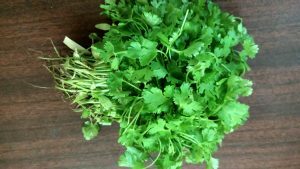 Including coriander leaves or (Dhania) in your diet will help to reduce the body temperature during the infection and strengthen the immunity system and increase the blood platelet count. Below are mentioned the ways on how to cure dengue using coriander leaves as home remedies for dengue if you dislike the taste of papaya leaves for dengue or dislike the method which involves dengue fever treatment papaya leaves for dengue. You are allergic to aniseed, fennel, caraway, mugwort. Barley grass juice or barley tea is an important source of home remedies for dengue treatment as it is packed with organic compounds which are rich in vitamin B1, B2, B6, B12, folic acid, and pantothenic acid. Also, it has minerals like calcium, potassium, magnesium, and iron. Together, all these work towards increasing blood platelet count, red blood cells ( an important factor to cure dengue), treats vitamin deficiency and prolonged weakness. This is along with papaya leaves for dengue are considered to be the best home remedies for dengue as it’s considered to act the fastest. Below are the steps required on how to cure dengue by consuming barley grass as one of the home remedies for dengue. Strain the mixture and drink it twice a day. If you find this article of: How to Cure Dengue Using Home Remedies for Dengue. Also recommended, read about: How to Prevent Dengue Fever. The symptom of dengue fever which is high fever and extreme weakness may not be life threatening, however, if left untreated can progress rapidly especially in case of low immunity individuals. Therefore, home remedies such as dengue fever treatment papaya leaves for dengue i.e. papaya leaves for dengue should be used as only alternative treatments in extreme conditions. Apart from the above-mentioned home remedies for dengue fever, how to cure dengue using other methods? Certain things that people should collectively work towards is spraying streets and neighborhoods with pesticides; encourage people to ward off mosquito bites by using bug spray, nets and long-sleeved shirts and avoid shorts.